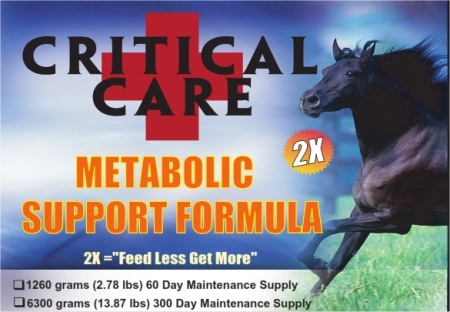 Our CRITICAL CARE Metabolic Support formula helps support metabolic issues. 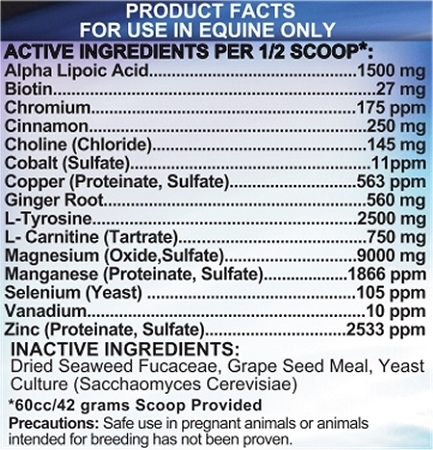 A stable metabolism offers a much less likelihood for metabolic issues and fat overweight cresty-necked horses. It's potent and power packed. "Anything we can do to keep the insulin levels low or lessen the resistance to insulin will be much healthier—not just for horses but people and pets, too."